The Gods & Alcoves website is back! Normal service has been resumed. 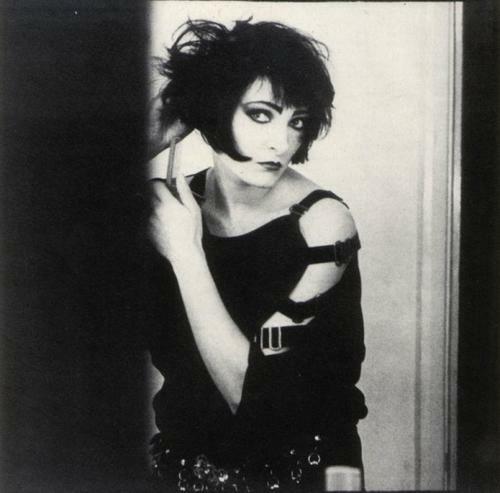 And to celebrate, here’s a fantastic photo of Siouxsie. I have added Warsaw’s very brief details into Gods and Alcoves (they are the 20th band). The Warsaw semi-official compilation LP is absolutely amazing and, if you are a fan of Joy Division (and if you’re reading this there is a good chance that you are), you need to get hold of a copy of this. UPDATE: the main site has gone live (December 19th 2011), there is more information about it here. The main Gods & Alcoves site is coming soon, and it will, hopefully, become the best goth, alternative and post-punk band resource on the web. What makes this site different is that all of the bands featured are pulled into a common time-line – so you can browse by band (and see discographies, gigographies, radio & TV appearances and galleries) or browse by year (and see all bands’ information combined). The site primarily covers the period from 1979 to 1989, although it includes earlier releases and gigs (for the few bands that did record or release before 1979), and it includes releases after 1989 if they contained material relevant to the era (e.g. John Peel seesions, compilation, retrospective live releases, etc. ).